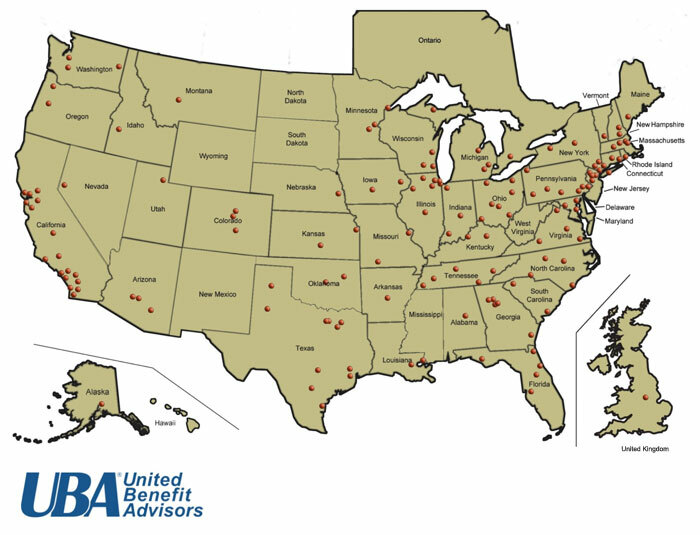 With our membership in United Benefit Advisors (UBA), we have feet on the street just about everywhere. UBA is a unique community of over 140 of the most successful and most trusted independent employee benefit advisory firms in North America and Europe. With UBA partners in more than 40 states—one in Canada and one in the United Kingdom, UBA is among the nation’s largest employee benefit organizations. As a member, we can deploy the tools and expertise of nearly 1,900 benefits professionals to our national and international employers.